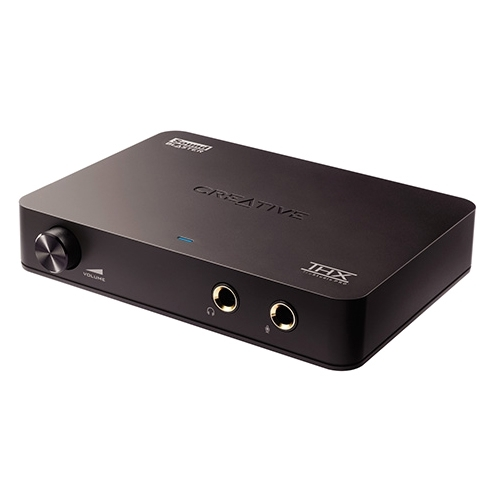 Designed as a high definition USB audio solution for notebooks and desktops, the Creative Sound Blaster X-Fi HD USB digital audio system features audiophile-grade recording and playback. It is the only USB digital audio system that includes an analogue phono input, as well as standard audio inputs, enabling users to effortlessly convert analogue audio from their record albums or cassette tapes into MP3, AAC, FLAC and other digital formats. The systems comes with Media Toolbox, a comprehensive software package, including an advanced noise reduction program that easily remove unwanted clicks, crackles, hums, pops, rumble and other sound imperfections from the tracks after they have been recorded, substantially improving the audio quality for playback.